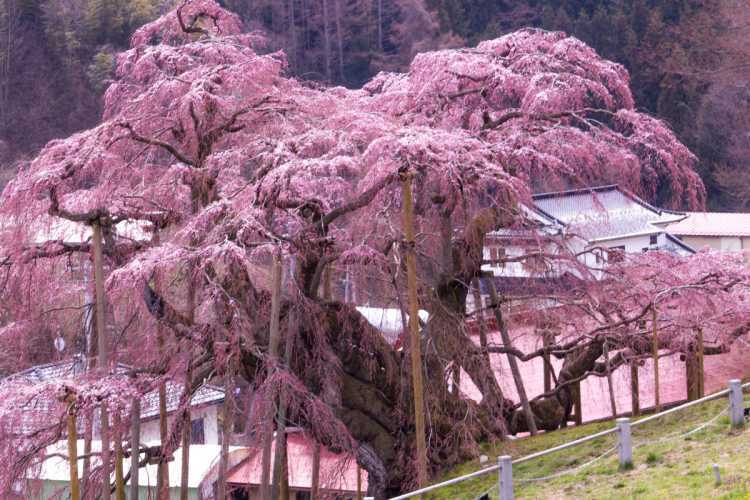 The Miharu-Takizakura cherry tree is one of the 3 best one in Japan and more than 1000 years old. I recommend visiting in the early morning because the place will be crowded after ten. 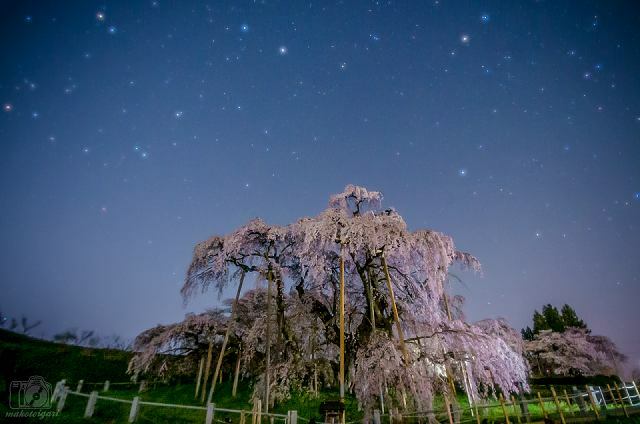 Miharu Takizakura is a huge tree over 1000 years old, and has put up with even Tohoku earthquake. Looking up from under the tree, you must be impressed with the cherry blossoms falling down like waterfalls. 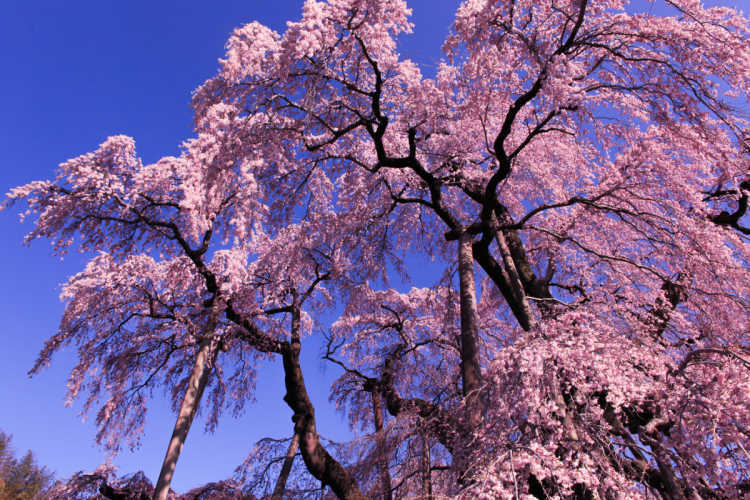 (Takizakura means Waterfall Cherry Blossom.) 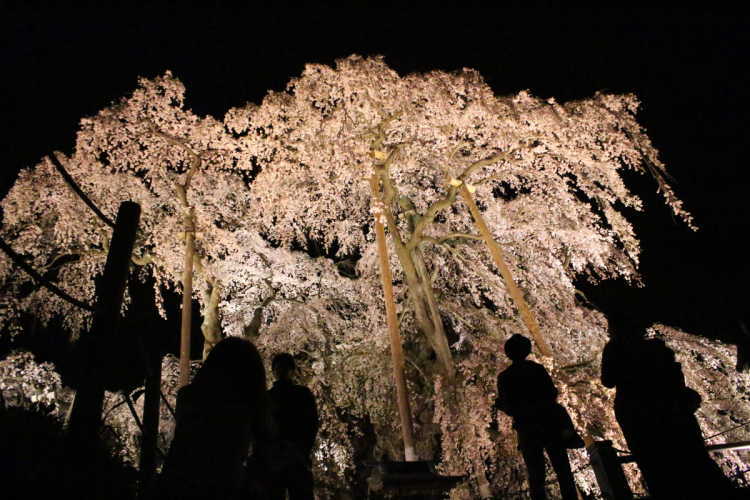 Its illumination is also glamourous!◎For the most famous and popular isolated cherry blossom tree, many people visit here. Even in 2011 after Tohoku earthquake, the parking area was crowed from the early morning. To avoid the congestion, you should visit as early as you can. If you can't, you must leave with enough time. 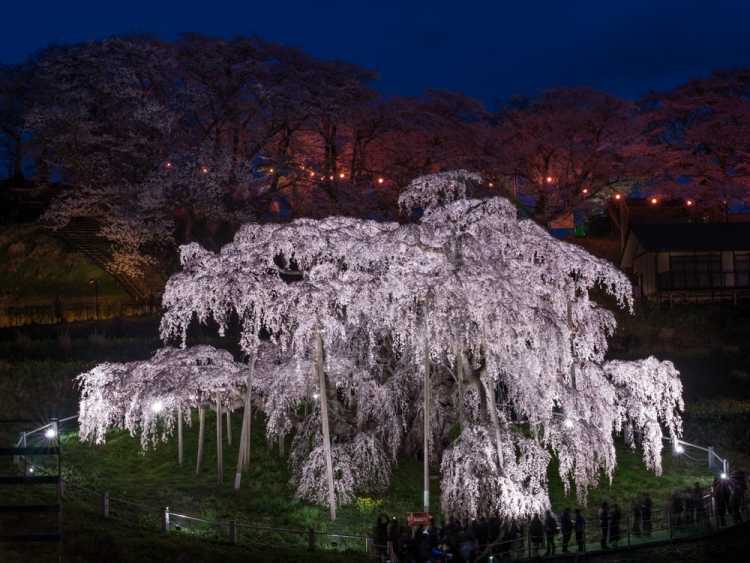 Miharu Taki-Zakura is one of the three greatest cherry blossom trees in Japan. 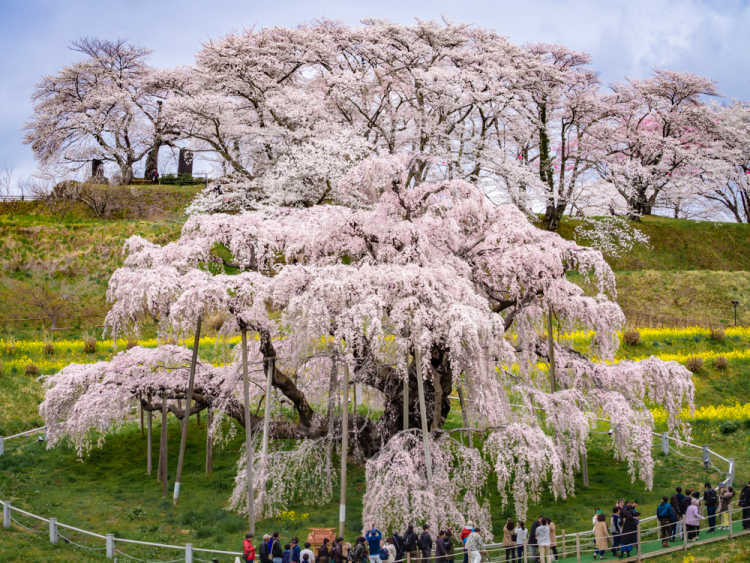 It's over 1000 years old, so it's in flower powerfully. And the full-bloom Miharu Taki-Zakura is impressively beautiful. You're encouraged to see it once! I've visited here two times, this cherry blossom showed me different appearances each year. How many times I meet this tree, its strength and beauty make me surprised. Somei Yoshino cherry blossoms and canola flowers behind Miharu Takizakura are also in their best. I could enjoy this gorgeous scenery very much.◎People need to pay 300 yen during the blossom season just after the next day of blooming. Access: Bus is available from JR Miharu Station during the season of cherry blossom. By car, 20 min from Funehiki Miharu IC of Ban'etsu Speedway, or 30 min from Koriyama Higashi IC. Miharu Takizakura will be in full-bloom soon. If you want to see it in daytime, it's better to go early morning, because of an enormous traffic jam. I like to see the lighted cherry blossom after my work. The powerful branches lighted in the darkness are really wonderful!